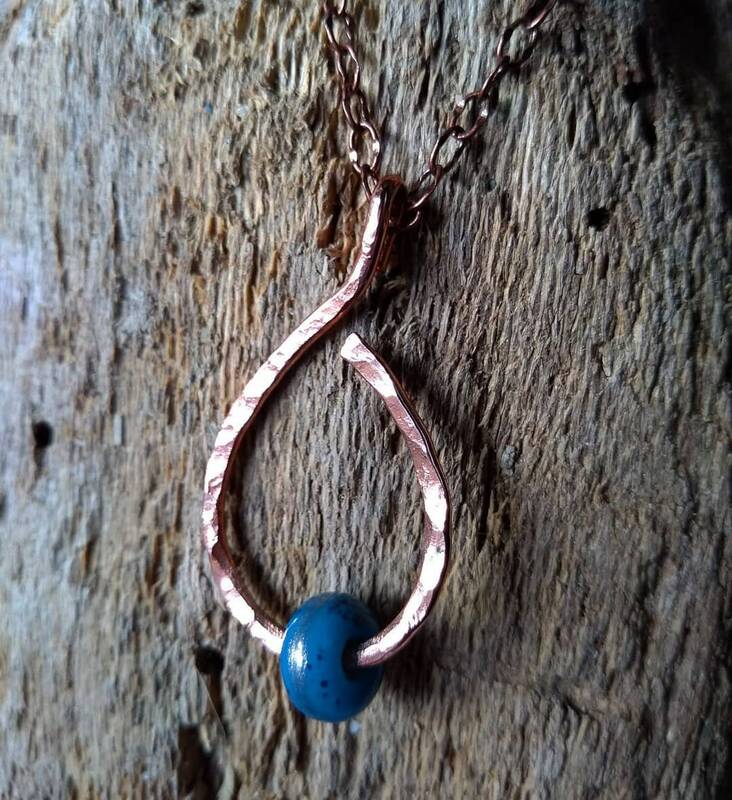 New hand hammered copper pendant necklace. 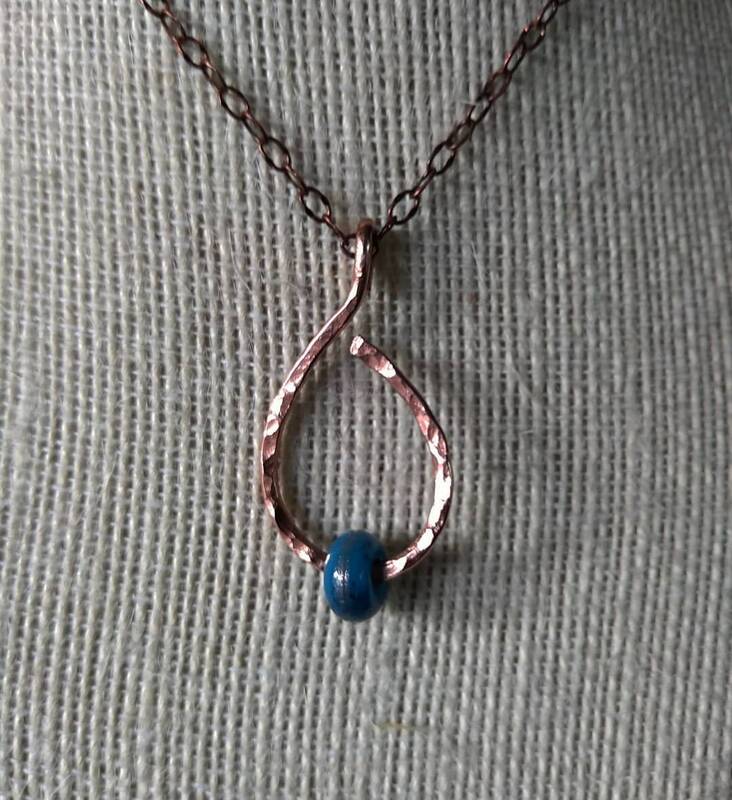 Antique copper chain is approximately 16" long. Hangs beautifully and catches the light.